Oh how my Father in heaven loves me. He loves me enough to send comfort to me, or should I say instruction through His word. You know I have three children already, and when I was in labor with them I would envision a flower opening up in order for me to get through the labor experience. So for me to get through the adoption waiting experience I just remember Habakkuk 3:5 and envision a caterpillar waiting to become a beautiful butterfly. 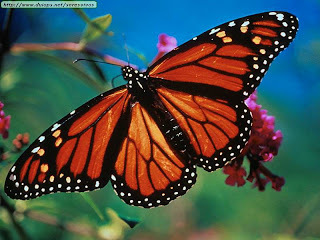 Butterflies often symbolize new beginnings, I am exciting about my new beginning! My new daughter, a new princess to join the royal court: Princess Neki, Prince Zion and Prince Noe`are all awaiting the announcement of their baby sister, In due season....Peace.